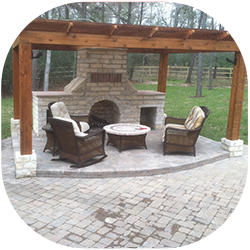 Update your front or backyard with help from the professionals at Fresh Start Landscapes. Whether you would like to build new decks or outdoor patios, our team of landscapers is available to help with any project. Upgrade the look of your garden when you turn to our team of professionals. From installing bright shrubs to creating a new walkway, we handle a wide variety of landscaping services for homes throughout the area. We offer a wide range of practical applications for maintaining your property and also provide accents to enhance the asthetic appeal. Maintaining a desireable environment is very important for the health and asthetic beauty of your landscaping. 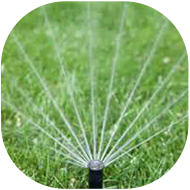 We can provide proper irrigation and drainage to ensure that your investment is protected. Add elegance and lasting beauty to your garden design with the services from Fresh Start Landscapes. 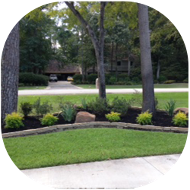 For more than 35 years, homeowners throughout Houston, Texas, have trusted our landscaping company to create custom outdoor spaces. From stonework and decks to mosquito control systems and sprinklers, we offer a series of features that are designed to enhance your yard. 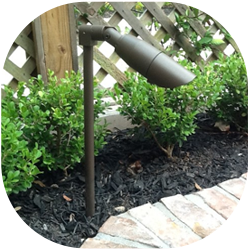 Our business is a select contractor for Rainbird, and we only work with the top supplies for your lighting, paths, and waterfalls. Since starting our company, our goal has remained the same. We work hard to make you happy with our services while we create a lasting relationship with each customer. Design and Construction of Landscapes, Stonework, Lighting, Sprinkler Systems, water features, pergolas, outdoor kitchens, patios, and much more.